Viking has celebrated the beginning of its inaugural 141-day World Cruise on its fourth and newest ocean ship, Viking Sun, sailing from Miami to London. 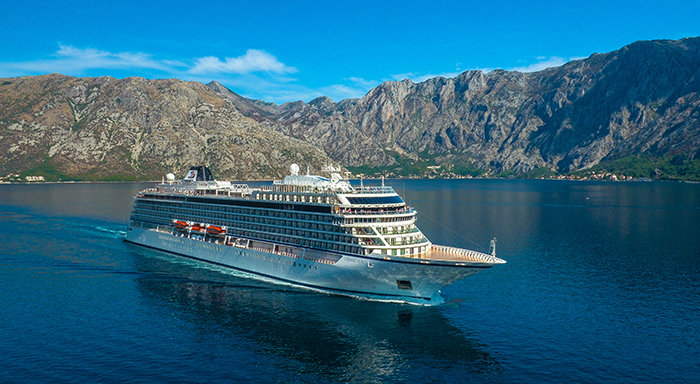 Torstein Hagen, Chairman of Viking, said: “Our World Cruises are the most extensive and culturally immersive journeys available in the industry. “For two decades, we have continued to expand our destination-focused itineraries to new regions of the world, so as our fleet grows it is a natural progression for us to offer grand voyages of this scope for our guests. Viking Sun will spend nearly the next five months on the World Cruise, which spans five continents, 35 countries and 64 ports. During this journey, guests will first explore Cuba and the Caribbean, before sailing the Panama Canal to call on Los Angeles, the home of Viking’s US headquarters and first West Coast port of call. The ship will then sail to the South Pacific, Australia and Asia, where it will be christened in Shanghai on 8 March 2018. From there, Viking Sun will continue on with ports of call in Asia and then Europe, before finishing the World Cruise in London on 5 May 2018. In addition to guests, also sailing on the World Cruise will be six casks of Viking’s own “Linje” Aquavit. In keeping with a Norwegian tradition that dates back hundreds of years, the Scandinavian spirit will mature in oak barrels during the sailing, crossing the equator (linje) twice as part of the maturation process. According to the tradition, it is believed that the moving seas and frequent temperature changes cause more flavour to be extracted from the casks. Viking Sun will continue to sail the globe during Viking’s 2019 World Cruise. The recently announced 128-day itinerary from Miami to London will visit five continents and 21 countries, from South America and the South Pacific to Australia and Africa.